A little known and surprising fact about the nightmarish hoops one must jump through at the behest of the TSA: You can get through airport security and board your flight without an official ID. It’s pretty chill. Over at Map Happy, writer Erica Ho recounts her experience of losing her ID right before a flight; unable to hunt it down and in danger of missing her departure altogether, she headed to the airport without any sort of government-issued identification. She did, however, happen to have her Costco card, which just so happens to have her picture on it. When Erica got to the airport, everyone was whatever—a TSA agent wouldn’t let her use the Pre-Check line, but they were chill about it. When Erica told other chill agents about her situation, she showed them the Costco card (plus some credit cards bearing her name, for good measure) at which point she was moved aside for a relatively chill secondary screening and patdown. And that was it. Wholesale retail outlet membership has its benefits. You’ll be able to fly as long as you provide us with some information that will help us determine you are who you say you are. If you’re willing to provide some additional information, we have other means of substantiating your identity, such as using publicly available databases. If we can confirm your identity, you’ll be cleared to go through security, and you may or may not have to go through some additional screening. So they can work it out even if you don’t have no photo ID whatsoever. 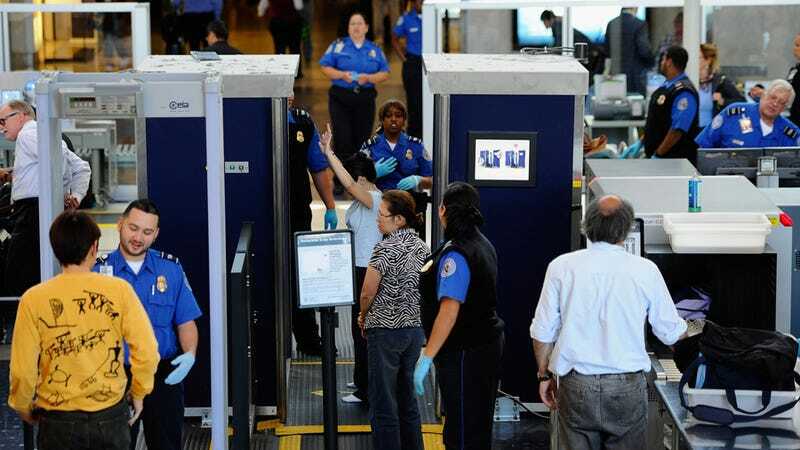 It sounds absurd—we have to remove our shoes and separate our tiny bottles of various liquids and take our laptops out of our bags and get our palms wiped with that tickly stick thing they use to make sure we’re not covered in bomb dust, but no photo ID? Chill, they’ll find you on Facebook or something.